You may be visiting my website for a variety of reasons, but I hope what comes over is my belief that the type of food we eat is central to our mental and physical well-being through all our life stages. I believe we need to re-prioritise food in our lives, and realise that good ‘balanced’ nutrition is not about self-denial, or some high-tech functional ingredient, or even ‘clean eating’ (a misleading term), it’s about eating and enjoying a variety of delicious foods. The current media fuelled diet-obsession gives us confusing and often simply wrong information, and needs to be replaced with a new approach towards the food we eat. I believe making a balanced, varied and tasty diet is part of your way of life, and this doesn’t mean avoiding food groups (unless you medically need to) or depriving yourself, but it will provide your body whatever its age, with all the nutrients it needs. A balanced diet nourishes us; provides good energy levels to meet our needs; help us fight infections and diseases; helps us deal with stress better, and sleep better. After having children, I retrained and followed my passion for delicious food and a fascination about the science behind nutrition and have achieved a distinction in a Masters in Applied Human Nutrition at Oxford Brookes University. 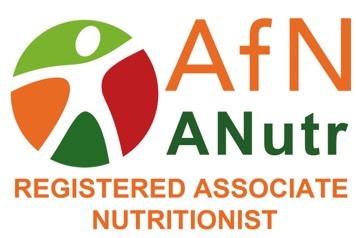 This met the requirements of the AfN (Association for Nutrition) for me to be a Registered Associate Nutritionist (ANutr). I am also a member of the British Nutrition Foundation and Nutrition Society. By using a Registered Nutritionist, all the advice you receive is based on proven scientific research, not just the lasted fad and provides a sustainable approach to diet and lifestyle change. My main area of interest is nourishing and educating our children and teenagers about the benefits of delicious and nutritious food, thus establishing good habits for life, (I have two boys, and I know only too well the challenges!). I specialize in fussy eaters and disordered eating throughout the life phases and use the latest evidence-based knowledge from lecturing on the topic. This links with my interest in the importance of women’s health, especially before during and after pregnancy and later in the menopause. Other areas of interest include nutrition and IBS; weight management, diet/lifestyle and type II diabetes, and a balanced diet for the older adult. I offer a full 7 day (5 week days 2 weekend days) dietary analysis, using Nutritics software, www.nutritics.com which gives comprehensive report on food intake, and what steps you can take to improve it depending on your overall aims. Consultations include a holistic look at your lifestyle both mentally and physically and include advice on your PA (physical activity) levels. Although you ‘can’t run away from a bad diet’, the benefits of being physically active are proven, for both our mental and physical well-being. Overall, I’m passionate about making food taste delicious as well as being nutritious and have an extensive collection of recipes and ideas to share, that cater for every palate and life-stage. I believe these are the real key to keeping up the variety and enjoyment of our food and provide the basis for making sustainable changes in your diet for life, as well as making sure you are well nourished and satisfied. 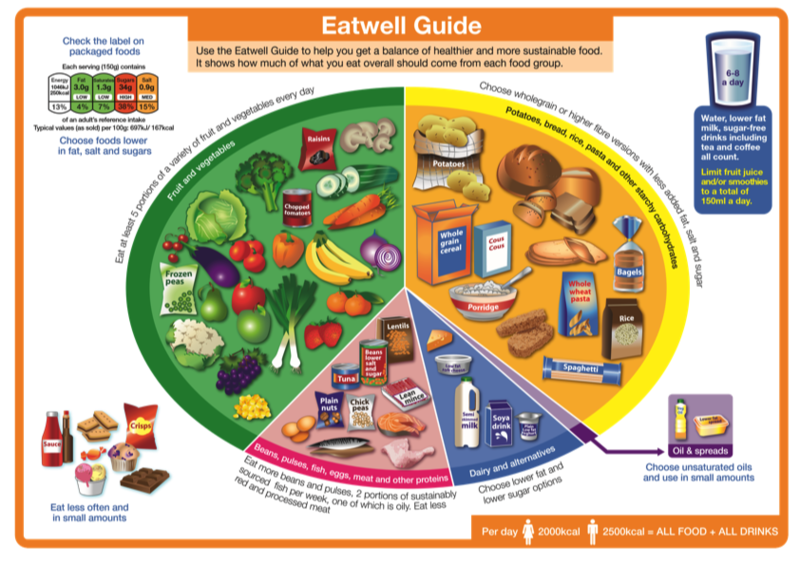 I have a consulting room (Shepherds hut) in Blewbury, but can also come to your home, ‘examine’ the contents of your fridge and cupboards and help you and/or your family to read labels and make better food choices that will help you cook healthier and tastier food. Do get in touch with any questions or queries. This will include an initial medical and lifestyle assessment, and a 7 day dietary analysis (based on an accurate food diary!) and report using Nutritics software, as well as appropriate recipes and food ideas suited to your needs and tastes. Further consultations – 1 hr: £45, £40 for 4 or more consultations – Half Hour: £20 as required. Home visit – 2hrs: £90 -Tailored to your requirements. Please allow 24 hours for a response through email. Alternatively, please give me a ring on 07957 336957 or 01235 850627.